To put it simply, SEO stands for “search engine optimization”, and it’s the key to your visibility online. For example, let’s suppose you want to find advice from a professional about how to do something—say, take memorable wedding photos. What are you going to do first? 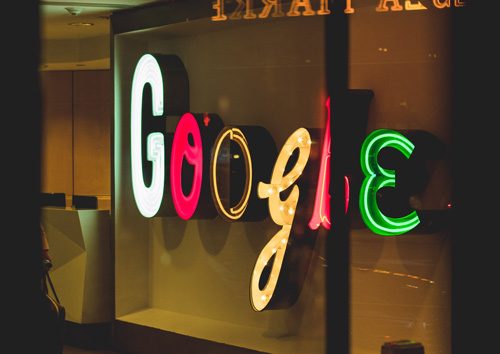 Assuming you don’t know someone who is a professional, chances are you’re going to turn to a search engine like Google. 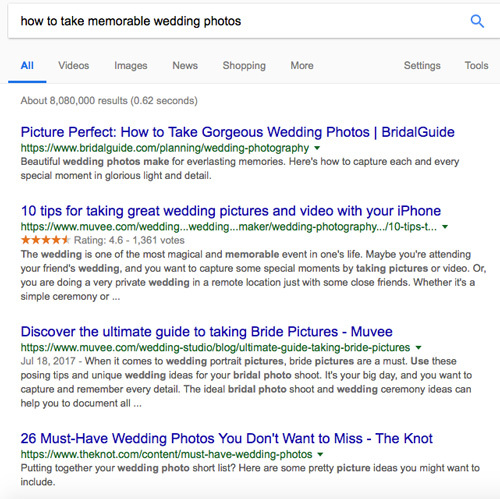 Now, there are thousands of blogs out there about wedding photography, and a simple search turns up over 8 million responses. That’s a staggeringly long list. But, as in any list, somebody has to be first. The first responses Google churns out are either the people who pay to be first through search engine marketing (SEM) or those who are best suited as a result to a particular inquiry. One of the major ways companies get to the top is through placement of keywords and internal optimization of code. This is SEO. We’re not going to concern ourselves with SEO as a whole at the moment. That’s too large a field to address in one blog. We’re focusing on one simple way to fine tune your blog’s SEO and increase your standings when someone is Googling in your neighborhood. The key to those improvements is using keywords effectively. When figuring out this whole keyword thing, you might ask yourself (or Google) what makes a good keyword strategy. The main consensus in the ever-changing SEO world is that 1-2 keywords per blog post is the sweet spot. Any more than that and you run the risk of drowning your readers and muddling your results. As for what sorts of words you should choose, make sure you’re thinking about the reader, both who is currently reading and who you might want to attract as a reader. If you’re the person running the theoretical wedding photography blog from the earlier example, you might choose words that are hot at the moment, such as a new technique or practice. This will land you higher in the search results of someone looking to stay on the cutting edge of the industry. And you might pair that with the word “trends,” if that’s what you’re writing about. You have to think about your audience and give them what they want before they ask for it. Be careful, though. Too generic a term can get you buried, and too specific a word might never get searched for. A keyword is only effective if it gets picked up by search engines when they’re retrieving results. There are several places you can make sure to use your keywords that will certainly get you seen by search engines. We’d consider these three the basics: title, headers, and body. Craft a title for your post that contains those keywords in the first 60 characters. Any later in the title and you risk truncation by display criteria. One of the first places search engines and potential readers look is titles. Get your point across quickly and clearly using those keywords you’ve settled on. Your headers should contain your keywords, too. Header text gets higher billing than body text, and it also helps to communicate the flow of your blog post. Analytics software will question your ability to write if you don’t keep those keywords coming in your bold and beautiful headers. Lastly, the body of your blog post should, of course, contain your keywords. If your keywords encapsulate the topic you’re covering, it makes sense that they’d be in the meat and potatoes of your blog. But here’s another warning: don’t stuff your keywords down your audience’s throat. Those crafty search engine robots with their ever-adapting criteria for ranking can see right through that. They’ll determine you are doing what is called keyword stuffing, and they’ll skip right over you. So use them, but use them in a logical way that flows and doesn’t make your readers nauseous. We’re going to let you in on a little industry secret, a little advanced SEO knowledge, if you will. Putting your keywords in your title, body, and header is great, but great isn’t good enough. To really get ahead, you’ve got to cram them into the URL and the meta text as well. The URL is the very first place most search engines start, and the meta text gets you bonus points. Who doesn’t love bonus points? If you’re writing a blog for anyone but yourself, you crave followers. They provide the motivation to keep writing for an audience. Because let’s face it, nobody wants to perform for an empty house. Keep these tips in mind and keep at it. There are plenty of ways to optimize your site for search engine results, but paying attention to keywords and using them effectively is a relatively simple way to boost visits. Now, if you’ve been doing your homework, you’ll have no doubt picked out this post’s keywords and seen just exactly how we’ve been using them to boost our own SEO. Clever girl!